The interactive VR experience includes a 6 DOF model of the campus where viewers can explore surroundings guided by a Singapore-based celebrity. Available celebrities include Desmond Tan, Pierre Png, Zoe Tay, Rebecca Lim, the Class 95 team and others. 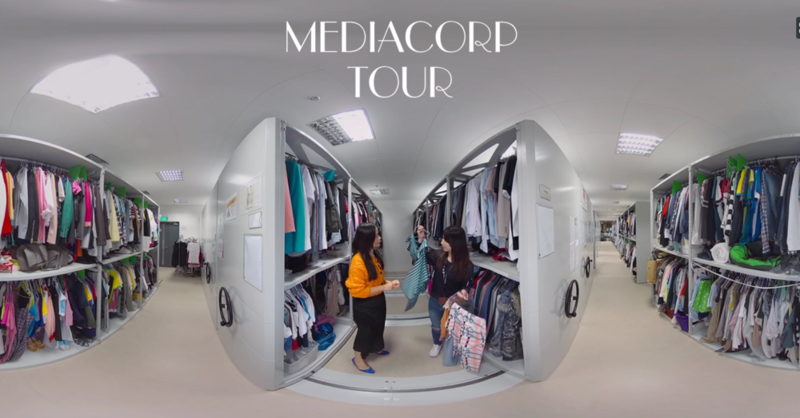 This is the first ever interactive 360/VR tour launched by Mediacorp. Aside from featuring top stars, it also provides high quality footage captured on the Vostok VR FIDEL rig. The full interactive experience is available at the Mediacorp VR centre, located at L9. Some of the selected 360 video experiences will also be available on the Toggle 360 platform. VR production took almost ten days and was done by Vostok VR and the Mediacorp Studios team. This production was unique as it includes the top Mediacorp stars and a short VR filming schedule. An experience sneak peek was launched during Mediacorp Reimagined, an event in Jan 2019 for approximately 150 representatives from top media agencies all over Singapore. Ten selected 360 videos will debut on the Toggle platform for more than 5 million viewers. The full interactive VR experience is available at the Mediacorp campus for business partners and guests of honour.